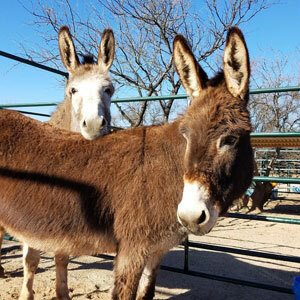 Forever Home Donkey Rescue is a private sanctuary and not registered as a 501c3 non-profit organization with the Internal Revenue Service. 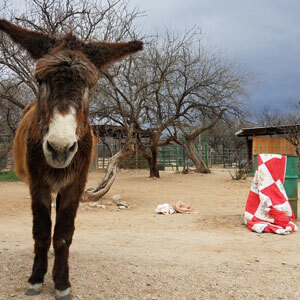 We are located in Benson, AZ, which is east of Tucson. 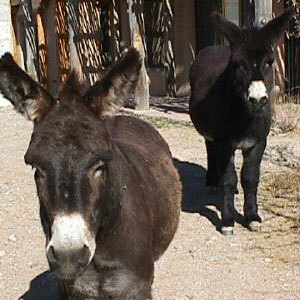 The donkeys, mules and horse that reside here thank you for visiting our web page. 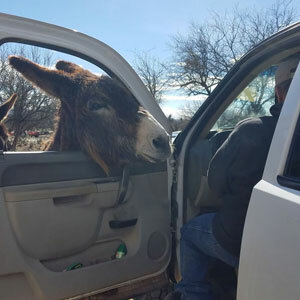 Forever Home Donkey Rescue welcomes volunteers to come out and play with our residents. 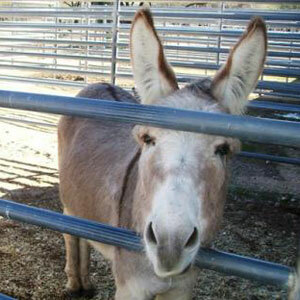 Our animals love to be brushed and scratched. If you live in or near the Benson area and have some time to spare, please contact us about coming out. Older children are welcome to help groom, but younger kids are encouraged to just look and pet. Adult supervision please! If groups of children or adults would like to come out for a visit, just give us a call. 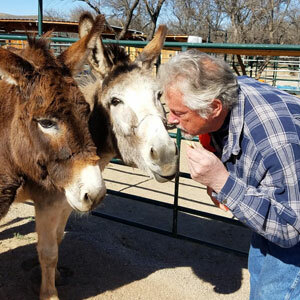 The donkeys love to have visitors and it’s a great opportunity for people to learn about donkeys and their history.